Over the last several years, few financial assets have generated returns comparable to those of cryptocurrencies. Extraordinary returns have led to a frenzy of investment activity including the formation of new hedge funds focused partially or exclusively on trading non-security cryptocurrencies. The rise of crypto hedge funds is revolutionizing the way in which private equity and venture capital fund managers raise capital, bringing greater democratization and transparency. Currently there are 370 crypto funds, with USD 10 billion in assets under management. Although this trading activity is highly speculative (i) it is subject to almost no regulatory oversight (at least, not yet); (ii) crypto hedge funds that trade in non-securities cryptocurrency, in most jurisdictions fall almost entirely outside the extensive securities regulations that would apply to traditional hedge funds — for instance, in the U.S., anti-fraud and non-solicitation provisions under the Securities Act and Exchange Act, investment activity regulation under the Investment Advisers Act of 1940 (the “Advisers Act”) and the Investment Company Act of 1940 (the “Investment Company Act”) taxation under various statutes, regulation by the Commodities Futures Trading Commission; in the EU, mainly the alternative investment fund managers (“AIFM”) directive. The line between security and non-security, however, is far grayer than Financial Market Authorities’ guidance would suggest. Thus, crypto funds should try to protect themselves against the full application of the extensive securities regulations that would apply to traditional hedge funds by solely focusing their trading activities on those cryptocurrencies which have received the direct blessing of regulators or which closely resemble such currencies like Bitcoin and Ether. Crypto hedge funds should, then, continually re-evaluate the cryptocurrencies they can trade. (i) Disclosing a clear trading strategy to LPs, also in terms of cryptocurrencies traded. Since each such cryptocurrency carries its own unique risks, crypto hedge funds should disclose risks associated with each traded cryptocurrency. (ii) Disclosing to LPs risks associated with the ambiguity in current regulation of cryptocurrencies and the likelihood of regulatory changes over the next few years. These funds should include a “catch-all” exception that would permit all necessary actions by the crypto fund to comply with current and future regulations or regulatory guidance. (iii) When in doubt, crypto funds should request no-action relief for the activities of the fund, particularly with respect to the trading of unconventional or novel cryptocurrencies on which regulators have provided no opinion. (iv) Work closely with other third-parties-independent service providers on due diligence and compliance to conduct additional diligence and verification on their investors. (v) Establishing internal procedures and controls to protect the crypto fund’s unregulated status. Moreover, the fund should conduct internal reviews and use counsels to assess the security or commodity status of a new cryptocurrency prior to investment and avoid cryptocurrencies that could be likely designated as securities. (vi) Given the complex regulatory and operational issues involved, crypto funds should continuously re-determine if any existing regulations apply and engage with regulators early to avoid costly regulatory surprises and delays. Many crypto funds have fostered close relationships with crypto exchanges, and have recommended ICOs to those exchanges. 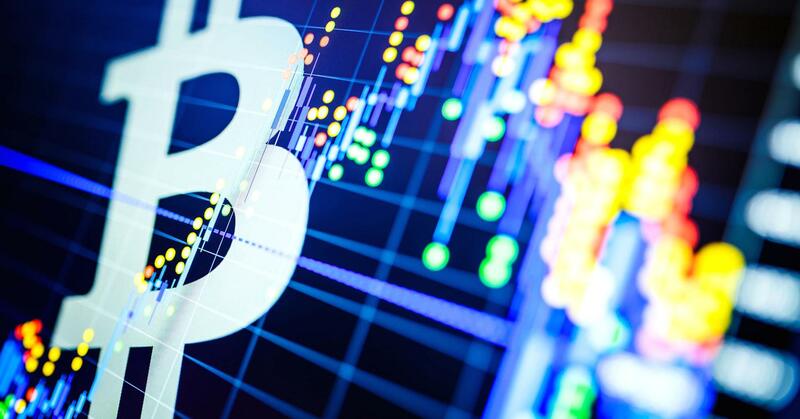 Some crypto funds may have a stronger influence over exchanges, particularly where they act as market makers and can direct trading to exchanges as incentives. These are the reasons why regulators, in strengthening their oversight over cryptocurrencies, are increasingly looking into whether manipulation might be compromising prices in virtual currency markets. Crypto funds should avoid to put in place practices like those. Valuation plays an important role, as it impacts how fund performance and investor fees are reflected. Given concerns about possible manipulation of crypto prices, there are challenges for funds to obtain the information necessary to adequately value and determine the settlement prices of cryptocurrencies and cryptocurrency products. Crypto fund policies would also need to consider how to deal with blockchain “forks”, which could result in differing crypto prices. The tax treatment of cryptocurrency transactions is complex, uncertain, and fast-changing. Unlike in a traditional hedge fund, where conversion to fiat currency is generally the best practice in handling distributions and redemptions, crypto funds are best served by preferring in-kind distributions and redemptions. This potentially avoids unwanted tax recognition events and permits investors to exit their investments in the way best suited to their local jurisdiction and personal requirements. As final note, we believe that these crypto hedge funds in many instances constitute a new type of financial institution that cannot be governed by traditional hedge fund regulation because doing so would disregard the unique features of cryptocurrencies. Existing rules and best practices for hedge funds in key areas — such as investor asset custodianship, capital formation, and distribution of returns — are frequently nonsensical or even counterproductive in the context of crypto funds. While we think that specific regulations of crypto hedge funds are necessary, we believe that a light touch regulatory approach is to prefer.